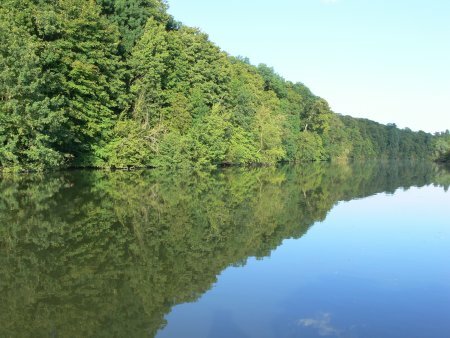 Giverny Country tour in a "Citroen Traction"
Liberte Seine offers to explore the beautiful waterscapes of the Seine valley in the surroundings of Les Andelys. Different circuits of 1 to 3 hours are proposed that you can customise. The gourmet option enable you to make a break in one of the best restaurants having a terrasse over the river. The tour is given by captain Dominique Polny, who knows all the secrets of the Seine. It makes the boat tour especially interesting and attractive. Sweet prices starting from 70 euros for a 1 hour tour for a group up to 6 passengers. 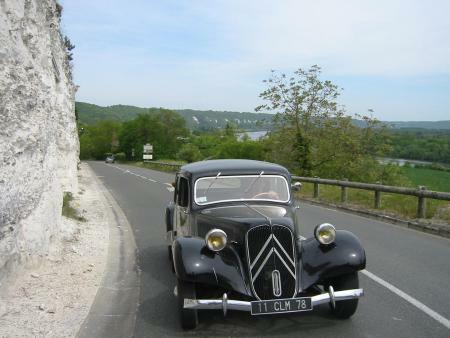 Let you be chauffered in a mythic car, the "Citroën Traction", at a slow rythm, as if you were back in the past. Old watermills tour : (1h30, from 20 euros per person) : This tour drives you to watermills in Vernon, Cocherel , Croisy sur Eure, Fourges. 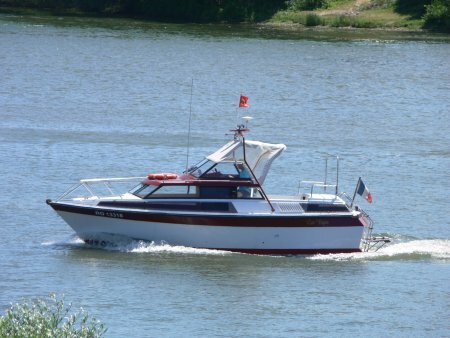 Castles tour : (2h, from 25 euros per person) : This tour drives you to Gaillon, to Les Andelys (Château-Gaillard, Richard the LionHeart headquarter), to La Madeleine and to La Roche-Guyon and its splendid donjon. The weather is warm ? Bring your family to Vernon-Plage (Vernon Beach). 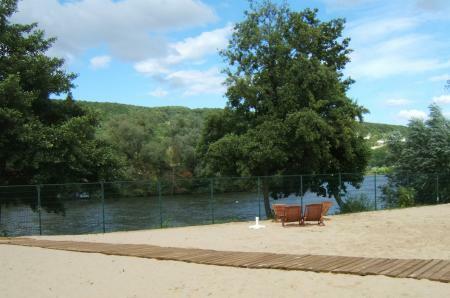 This closed space on the Seine river bank near the town centre has been turned into a sandy beach. You will find deckchairs, a paddling pool, a water spray, and an alcohol free bar. The access is free.